Leon Lowe and Ben Blacik scored 2.96 masterpoints with a ★60.38%★ game at Bridge On Shea. See full results of this game. 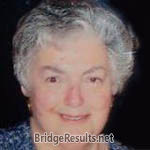 Bud Marsh and Marianne Spanier scored 0.99 masterpoints with a 55% game at Bridge On Shea. See full results of this game. Kerry Brothers and Joan Beuchel scored 6.00 masterpoints with a 58.94% game at In Tempo Bridge Club. See full results of this game. Freya Winsberg and Sheila Curwin scored 0.39 masterpoints with a 47.12% game at In Tempo Bridge Club. See full results of this game. Barbara Dunkley and Sue Ruoff scored 0.55 masterpoints with a 56.28% game at Spring Mt. Bridge Club. See full results of this game. Sheila Curwin and Linda Benaderet scored 0.70 masterpoints with a 56.09% game at In Tempo Bridge Club. See full results of this game. Leon Lowe and Ben Blacik scored 4.52 masterpoints with a ★65.53%★ game at Bridge On Shea. See full results of this game. Suzette Wynn and Marianne Spanier scored 0.29 masterpoints with a IMP game at Bridge On Shea. See full results of this game. George vasilevsky and Barbara Dunkley scored 0.98 masterpoints with a 52.5% game at Spring Mt. Bridge Club. See full results of this game. Leon Lowe and Ben Blacik scored 4.23 masterpoints with a ★63.46%★ game at Bridge On Shea. See full results of this game. Sue Ruoff and Barbara Dunkley scored 0.39 masterpoints with a 54.4% game at Spring Mt. Bridge Club. See full results of this game. Bud Marsh and Marianne Spanier scored 1.75 masterpoints with a ★61.12%★ game at Bridge On Shea. See full results of this game. Jack Shartsis and Marianne Spanier scored 0.27 masterpoints with a 55.98% game at Bridge On Shea. See full results of this game. Bud Marsh and Marianne Spanier scored 0.32 masterpoints with a 52.98% game at Bridge On Shea. See full results of this game. 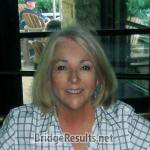 Carol Kasle and JoAnne Lowe scored 3.94 masterpoints with a ★63.52%★ game at In Tempo Bridge Club. See full results of this game. Phebe Packer and JoAnne Lowe scored 0.82 masterpoints with a 56.83% game at Bridge On Shea. See full results of this game. Carol Kasle and Penni Brodey scored 0.48 masterpoints with a 51.48% game at In Tempo Bridge Club. See full results of this game. Andy De Leon and Marianne Spanier scored 6.00 masterpoints with a ★61.38%★ game at Bridge On Shea. See full results of this game. Bud Marsh and Marianne Spanier scored 1.29 masterpoints with a ★62.37%★ game at Bridge On Shea. See full results of this game. Carol Kasle and Marianne Spanier scored 0.41 masterpoints with a 55.99% game at Bridge On Shea. See full results of this game. Marianne Spanier and Renay Weiner scored 0.40 masterpoints with a 55.59% game at Bridge On Shea. See full results of this game. JoAnne Lowe and Carol Kasle scored 0.27 masterpoints with a 54.11% game at Bridge On Shea. See full results of this game. Sheila Curwin and Ellen Tryba scored 0.60 masterpoints with a 53.97% game at In Tempo Bridge Club. See full results of this game. Liselotte Pouh and Phebe Packer scored 2.25 masterpoints with a ★61.52%★ game at In Tempo Bridge Club. See full results of this game. Kerry Brothers and Joan Beuchel scored 0.95 masterpoints with a 53.09% game at In Tempo Bridge Club. See full results of this game. Bud Marsh and Marianne Spanier scored 3.40 masterpoints with a ★★70.19%★★ game at Bridge On Shea. See full results of this game.